Those are questions plenty of AFL pundits are asking after indifferent form from both sides over the past five rounds. Are the Crows flat-track bullies who can’t handle the heat? When will the inconsistent Saints take the next step? Both are exciting, but perplexing. The Crows can absolutely trounce teams, as they did against the likes of GWS in round one and then Richmond, Essendon and Fremantle. 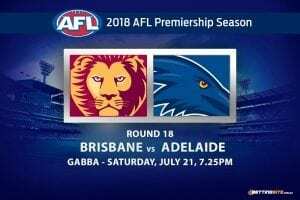 But they are just as vulnerable against sides who stop them from getting the ball over the back and shut down midfield prime mover Rory Sloane, a la North Melbourne, Melbourne, and Geelong last Friday night. Sloane was put to the sword by the Cats’ gun tagger Scott Selwood and the Crows were on the end of a ‘Dangerwood’ special in a 13.18 (96) to 10.14 (74) result. The Crouch brothers Brad and Matt tried hard, with 28 and 27 disposals each, but the 35 touches from Cats captain Joel Selwood and a 31 possessions, three goals masterpiece from Patrick Dangerfield were too hot to handle for the Crows away from home. Captain Tex Walker competed well with eight marks and three goals, but he wasted another three opportunities in an inaccurate night. The Crows’ woes were compounded by a win for Greater Western Sydney, who tipped Adelaide off the top of the ladder. 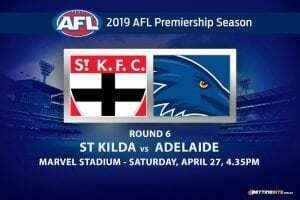 A pair of losses to Sydney and the Western Bulldogs scraped the gloss off three straight wins for St Kilda – including one over now top-of-the-table Giants – and posed more questions than answers about the Saints. The week’s break will have allowed them to refocus, but only action on the field can dispel the question marks surrounding the Saints’ consistency. The 40-point loss to the Bulldogs was dire 13.12 (90) to 7.8 (50) – threatening the Saints’ finals hopes. Jack Newnes (35), Leigh Montagna (34) and Seb Ross (30) had a mountain of the footy between them, but they lacked the penetration of the Bulldogs and were made to pay, managing just 15 scoring shots for the day and no multiple goalscorer. 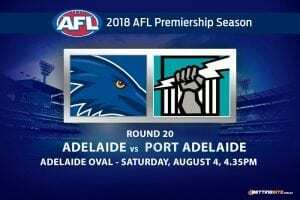 They will have to be far more potent if they are going to be any hope against an Adelaide side still smarting after the loss to Geelong, but, if the Saints can keep it tight, they would back themselves to close out the game after enjoying a week’s rest. St Kilda has lost eight of its past nine clashes with the Crows – most of them by plenty. We don’t think the result is going to change, but there are a few factors that suggest this one could be a little bit closer. 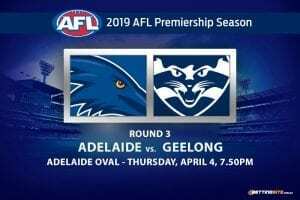 The Saints are coming off the bye and will be well rested, giving them a chance to try and copy the formula that has helped Melbourne, Geelong and North Melbourne cause the Crows to lose three of their past five games and look vulnerable. 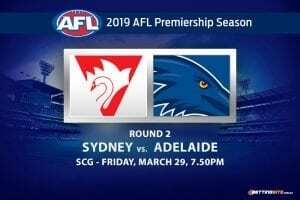 The Crows will no doubt be smarting from their loss to Geelong at Simonds Stadium on Friday night and, having had to travel, will be glad to be back home. 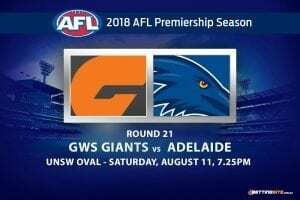 Adelaide is the better side on paper and should win the match, but the Saints have the pedigree of beating the top side in GWS that would suggest they can push the Crows, even on their home deck. 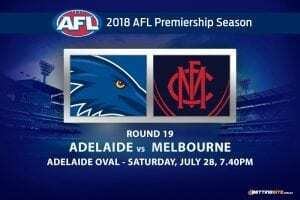 Adelaide’s midfield mob has been criticised for being a bit of a donut, but it is hard to deny that just about every one of them has improved their game on last season. One of the blokes who has stood out is Brad Crouch. Consistency has been a great feature of his game this season. He’s played every game since Round Five and produced 25 or more disposals in all but one – the embarrassing loss to North Melbourne in Round Six, where he gathered 24. The -357.14 quote is money for jam when he is playing on familiar territory. Here’s where we find the value. Jack Steven and David Armitage are the Saints’ prime movers and Seb Ross is rising to elite status, but the bloke who has done a mountain of heavy lifting in recent weeks is Jack Newnes. He is among that ‘will they or won’t they be a star’ midfield bracket and has really come of age over the past two seasons. Newnes had 33 disposals a month ago against the Blues, before being poleaxed by Sydney’s Callum Mills early in that game, putting him out for the match. But he again had leather poisoning against the Western Bulldogs with a career-high 35 possessions and we’re backing him to continue his golden run at some seriously juicy odds.